Don’t forget you’ve got a couple of chances to win a copy of the other books: there’s a GoodReads giveaway for THE NEXT ONE TO FALL right now. Also, I’m drawing names from my newsletter subscribers to win an advance copy of EVIL IN ALL ITS DISGUISES. Want to enter? All you need to do is sign up for my newsletter; if you win, you’ll need a mailing address in the US or Canada. 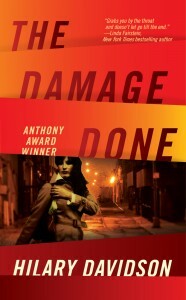 Update #1: Forgot to mention THE DAMAGE DONE will be on sale until February 27, 2013. Update #2: Hmm, it’s February 28th and THE DAMAGE DONE is still on sale — so you can still grab it! This entry was posted on Friday, February 8th, 2013 at 11:23 am. You can follow any responses to this entry through the RSS 2.0 feed. You can leave a response, or trackback from your own site. Any chance of your books becoming available to us Australians in ebook format any time soon? There is a large audience for quality crime writing in Australia which your publisher seems to be ignoring.